Well-padded, the Stingray Backpack users the freedom to go where dollies and carts cannot— or are too complicated to use. It simplifies packing, and makes it more convenient and comfortable to travel by bus, rail and plane, as well as hiking to difficult destinations. A pre- packed mixer/recorder bag slides into the unique docking port, nesting there until called upon to record within seconds. 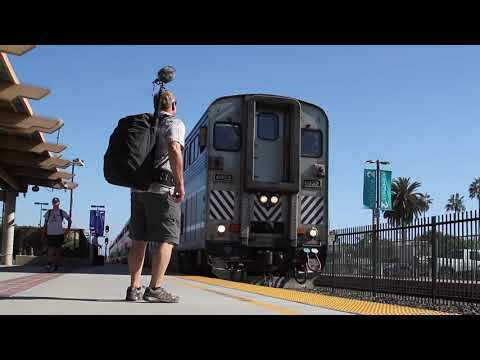 When using phone or tablet-based wireless control interfaces, the mixer bag can simply stay in the backpack as is; allowing for convenient, fast and stealth recording for the sound mixer. Hidden inside the waterproof bottom a stealth rain cover can quickly be wrapped around the exterior to protect all the gear from rain and view. Since it’s founding in 1996 by Manfred N Klemme, K-Tek has supported the audio world with innovative tools to make the sound engineer and boom operator’s jobs a bit smoother. With a passion for audio, Manfred’s first mission was to design and manufacture a line of U.S. made boom poles that were lightweight, strong and so audio friendly that folks took notice. Mission accomplished: in 1999 K-Tek won a Technical Achievement Award from the Academy of Motion Picture Arts and Sciences for the Klassic Boom Pole. Since then, K-Tek has earned many other awards and the reputation of making elegantly designed and beautifully constructed, audio- centric products including: Klassic & Avalon graphite and aluminum boom poles, shock mounts, Shark Antenna mount and Fuzzy & Topper windscreens. K-Tek’s growing Stingray line includes, Sound mixer bags, Waist Belt, a back-saving Audio Harness, plus accessory bags and pouches and bag accessories. Visit: www.ktekpro.com.